Crimefighting Clowne Parish Council, police and residents have helped identify a number of target problems. Issues and concerns were raised during a recent parish council meeting. Police have focussed on nuisance problems around The Springs Health Centre and Recreation Close, Clowne, as a priority. They also highlighted concerns about an increase in shoplifting at the village’s Tesco and parish councillors agreed to write to warn the store to remain security conscious. 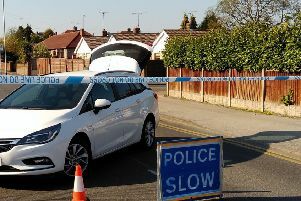 Parishioners have asked police to monitor parking at the Aldi, Lloyds and Domino Pizza and at the corner of High Street and Mill Green Way which is blocking access.